Asia is the biggest continent in the world and offers travellers a variety of scenery, culture and cuisine but if you are looking for a destination with incredible night life, you need look no further than Singapore. Singapore is a modern and vibrant city which really comes alive at night. It is home to the singapore sling a fantastic cocktail of gin, cherry brandy, Cointreau, Dom Benedictine, Grenadine, mellowed with lime and pineapple juice. One of the best places to sample this is the iconic Raffles Hotel. In 1915 mixologists first created this cocktail right here, so heading to the hotels Long Bar is a must to kick start your evening. If you like to take your parties outside the Tanjong Beach Club hold Full Steam Ahead three times a year. You’ll be barefooting under the full moon to some of the country’s best DJ’s all to the backdrop of Singapore’s magnificent skyline. Take this spiritual vibe a step further by slipping off to Going Om. There is a very tiny hippy community in Singapore and this amazing venue has been heavily influenced by Nepalese culture. You will be entertained by fire twirlers, dancers and acoustic performances. All from the comfort of giant pillows. Outside most of the seating is covered in foliage, bringing a real natural vibe to this modern party den. 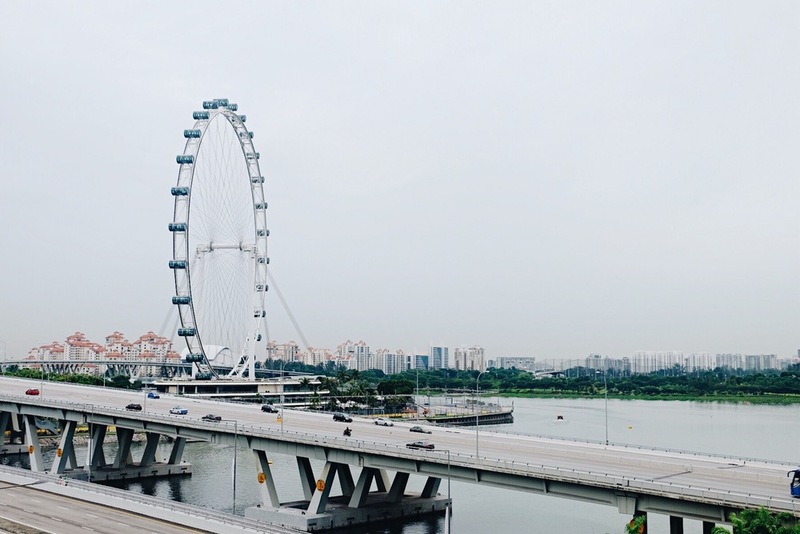 It may be worth considering these tips for staying safe when travelling alone if you want to take in the best of Singapore without getting into trouble. If you really want to admire the panoramic views of singapore then head up to Ku De Ta. It is a super classy venue in Marina Bay Sands Skypark and sits 257m above sea level. After a bite to eat at the famous Cedele Bakery Cafe move your night up a notch and watch the sunset from the best view in Asia. If you need to come back to earth, you can do it gradually by hitting the highest bar in the world’s dance floor which enjoys unobstructed views of the city lights. The resident DJ is pretty well known in the city and apparently takes requests, just try not to cheese it up too much! If you fancy a night out with a little bit of a health kick then try a TCM cocktail at Jekyll & Hyde. These guys have taken ingredients from traditional chinese medicine and mixed them up with a few ‘better for you’ spirits such as sake, white rum and vodka. We can’t guarantee the health benefits of using shiitake mushrooms in a cocktail but it’s has to be worth a try right? Through the city there are plenty of other, less party, things to try. Singapore doesn’t shut down at 10pm. It keeps going as long as you do. It doesn’t matter what age you are, if you are travelling alone or on a romantic trip, Singapore really does have it all. Breathtaking views, incredible people and a soul that will leave you with memories to treasure for the rest of your life.